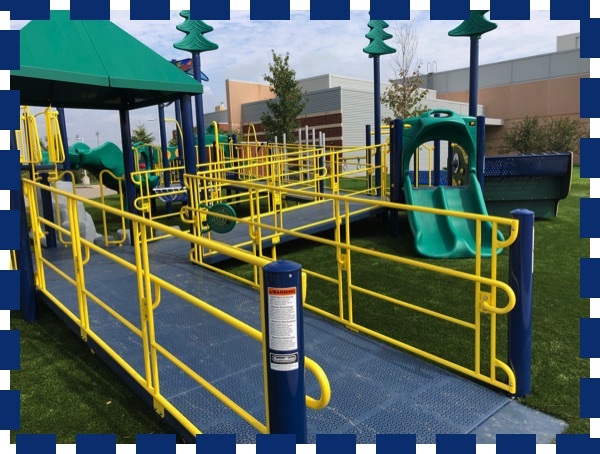 This great new special needs playground is in front of the Valley Community Center in West Des Moines. This unique facility is such a blessing to so many children. 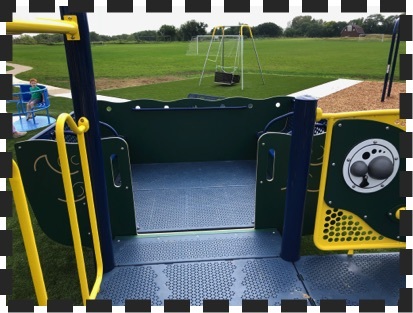 It is designed for all people, but is especially sensitive to physical challenges and or other limitations. It also has features that enhance senses, such as sight, hearing and touch. 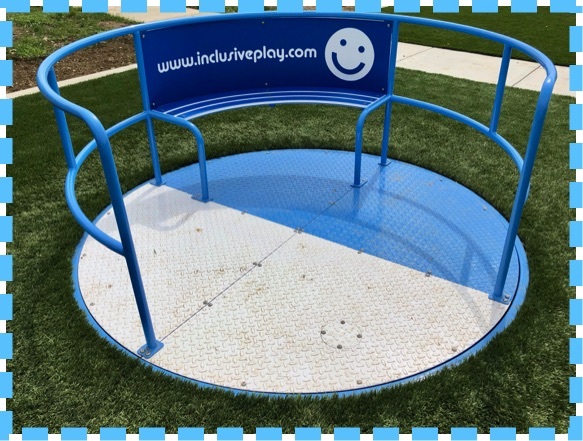 As many of you know, I am a great proponent of physical and mental activity, but I am also realistic enough to know it is not affordable to have all of these special features in every playground in Iowa. 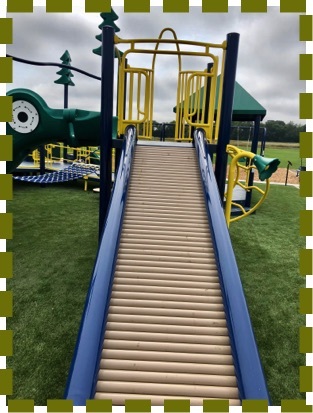 It is good news to know that this beautiful new playground is free and available for everyone in the greater Des Moines area--and beyond. It is indeed--FUN FOR ALL! 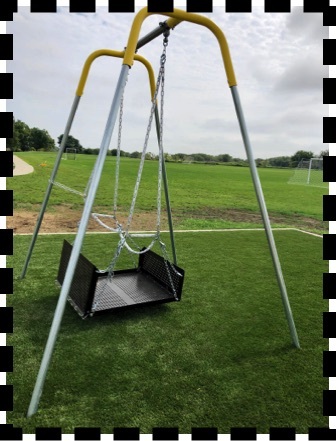 The Valley Church Inclusive Park at 4444 Fuller Road, West Des Moines, "opened for business" September 16, 2018. 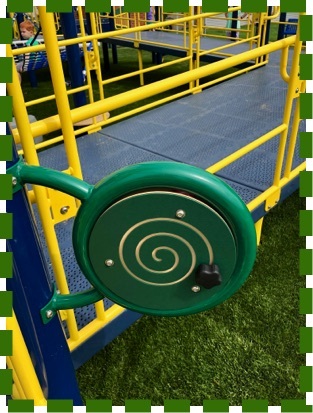 This playground is fun for all people with all abilities. It's unique! Let's check it out! These tunnels in the garden will soon come down. These protective covers are mostly for insect control. Left: Is that a harp? Right: Is that a pipe organ? 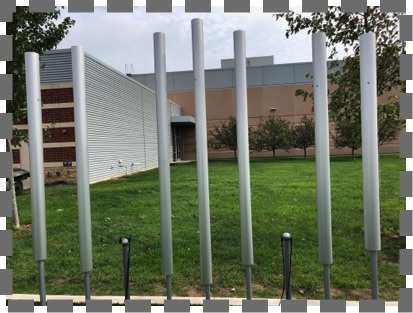 I'm not sure how to answer that, but I am sure of one thing--when I hear the kids ring out the sounds--it is music to my ears! 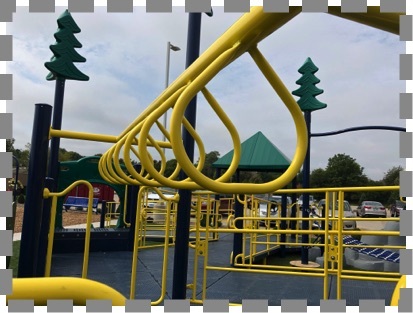 Left: All kids love merry-go-rounds, but getting on is not always an easy task. Here we are at ground level--just get on and GO around & around & around. 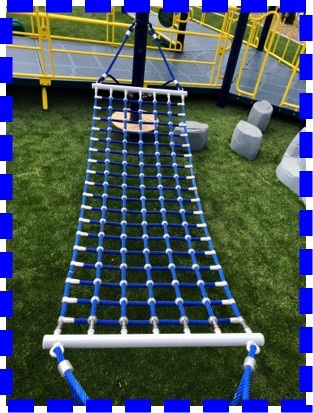 Right: A unique swing set. All you need to do is roll your wheelchair on and swing away. 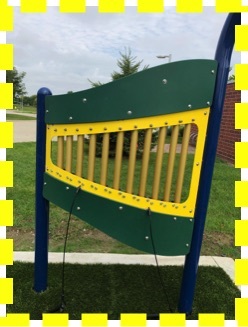 It is locked with a chain because it requires adult supervision. Just go inside the building and get the key--it's free.